DenMat is proud to offer PeriOptix lights and loupes. Our lightweight frame and headlamp designs support better ergonomics, resulting in less strain on your neck and an overall more comfortable working experience. Our frames are designed by premium brand names such as Adidas, Hogies, and Univet, allowing us to provide exceptional quality, class and value to a variety of DenMat customers. PeriOptix are available in ready-made and custom loupes. We offer a full-suite of high-quality magnification and illumination products, all at an unbeatable value for the clinician. 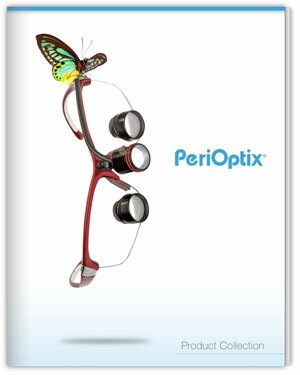 Click to view our PeriOptix Catalog.